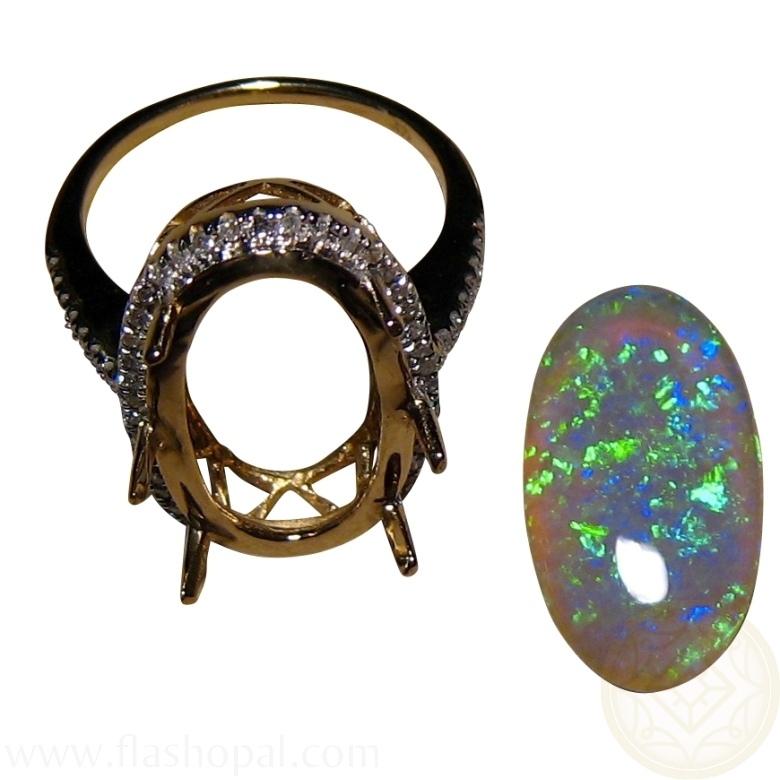 A large semi Black Opal Ring with Diamonds in 14k Gold with an oval Green and Blue Black Opal surrounded by a halo of quality Diamonds. 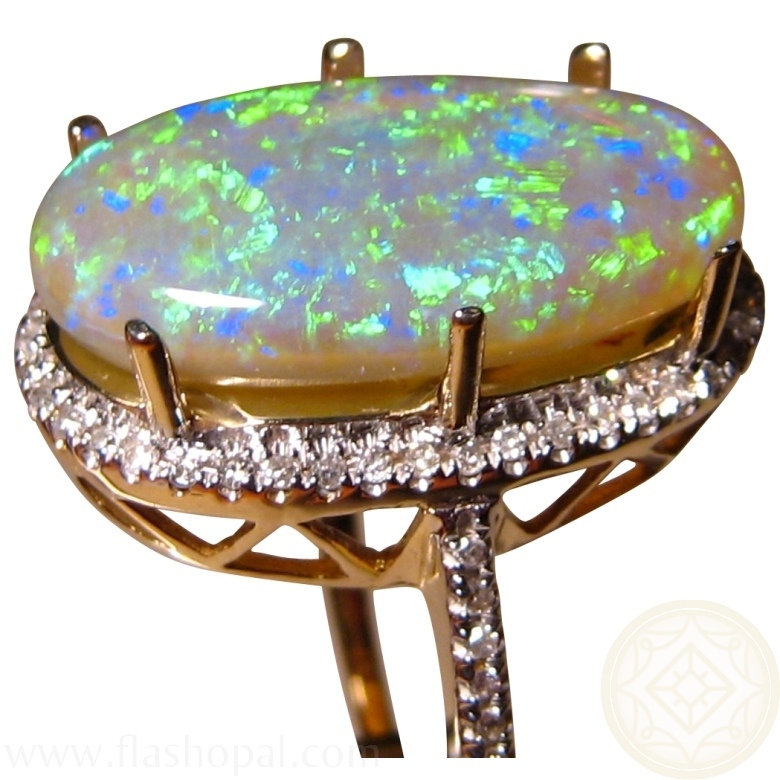 A big Opal Ring with Diamonds for women who like their rings to be seen. 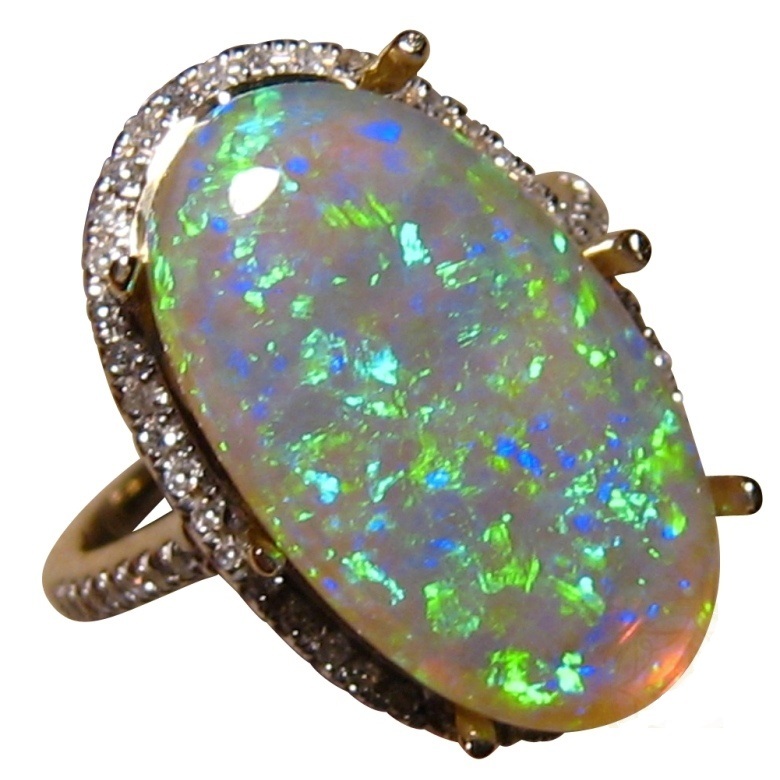 Featuring a Semi Black Opal from Lightning Ridge, Australia, it is surrounded by a halo of small quality Diamonds with more on each side of the band. 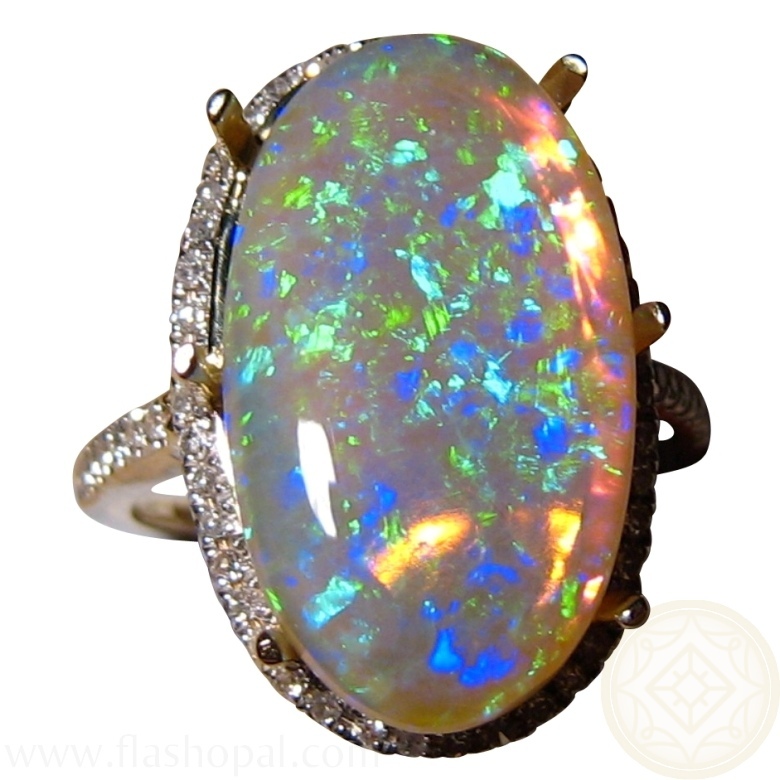 The Opal weighs 7 carats and has been cut to a long oval shape just over ¾ of an inch long. The Green and Blue colors are very bright in a mix of patterns which is unique in one stone. There are triangle cut outs which allow as much light as possible to the gems ensuring they glow their best. 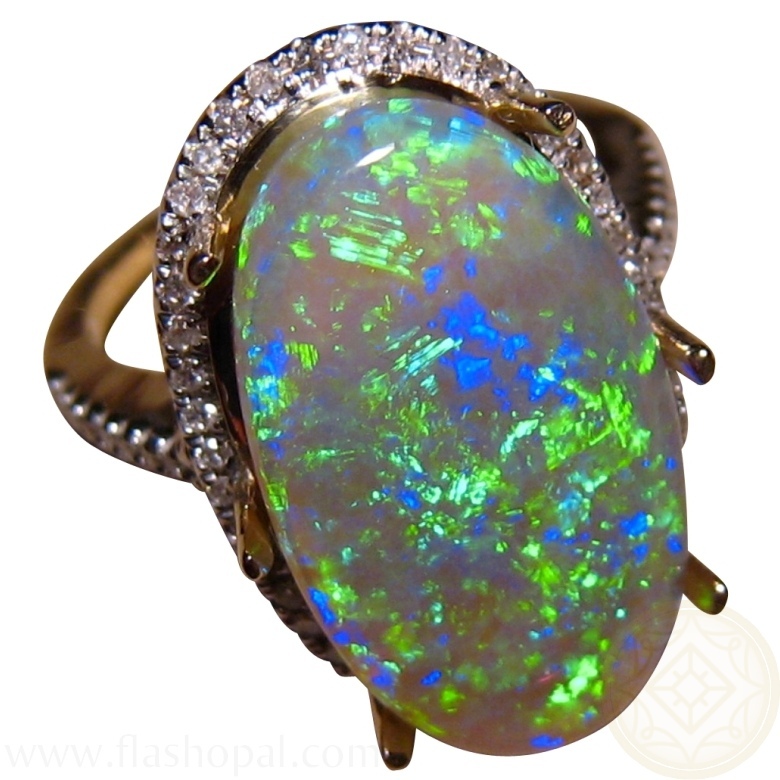 The prongs are yet to secure the Opal which means you can have this stone mounted into a setting more to your taste whether it is a ring or pendant. If you would like this option, contact through this product detailing your requirements. If this ring is perfect for you as advertised, it will be shipped at least 2 business days from sale or will take 14-21 days for a different ring size or Gold color.